With the national unemployment rate hovering around 4% attracting and retaining talent has become a major barrier for the growth of companies in Northern MI. This event will feature guests from our local school districts’ K-12 STEAM/STEM programs as well as Michigan Works! programs. 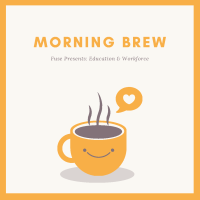 These subject matter experts are intimately involved in creating and sustaining a workforce pipeline from kindergarten through adulthood and they have lots of opportunities for you to get involved. Be prepared to discuss where we are as a community and leave with action items you can do to support talent retention in our region.